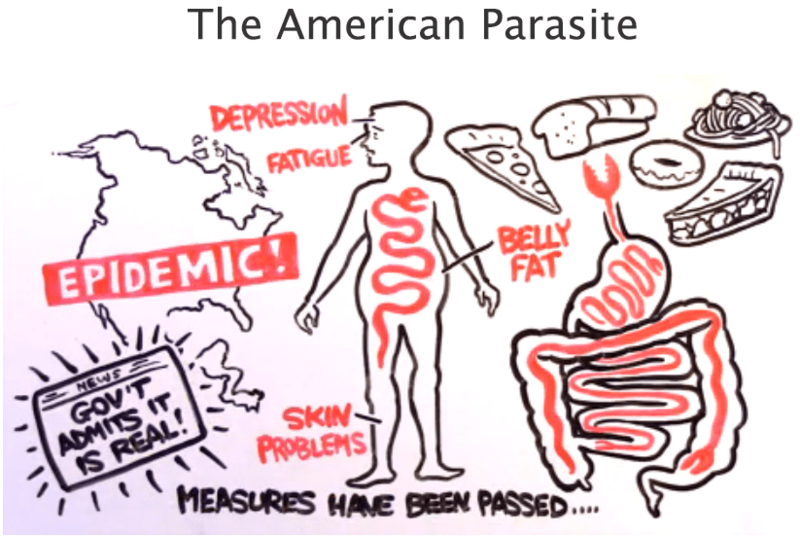 The American Parasite | Save. Spend. Splurge. 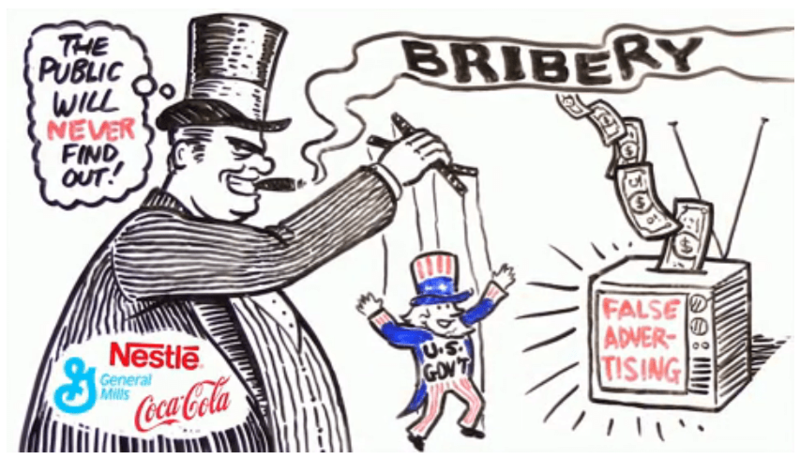 If you even remotely care about food, health and your body, you should really watch this video. I took a few screenshots for those of you who can’t watch it right away to get an idea of what it’s about, but it’s really something I think everyone should watch. 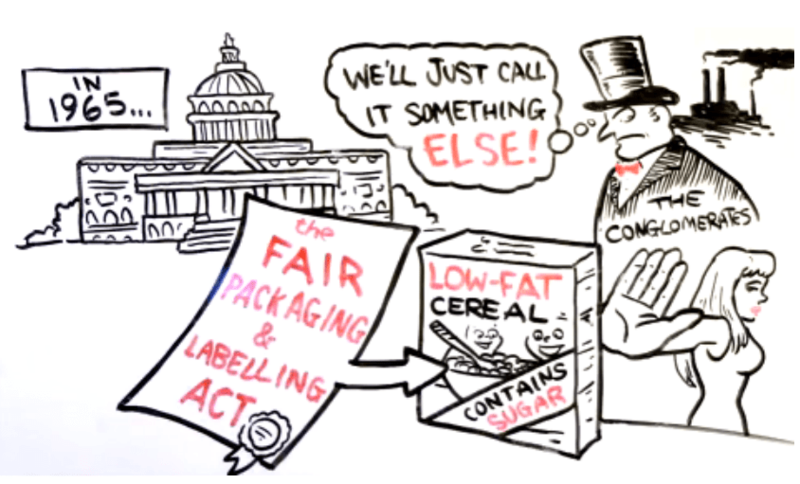 It isn’t just talking about food, it is also talking about how the industry covers up what they’re selling to consumers. 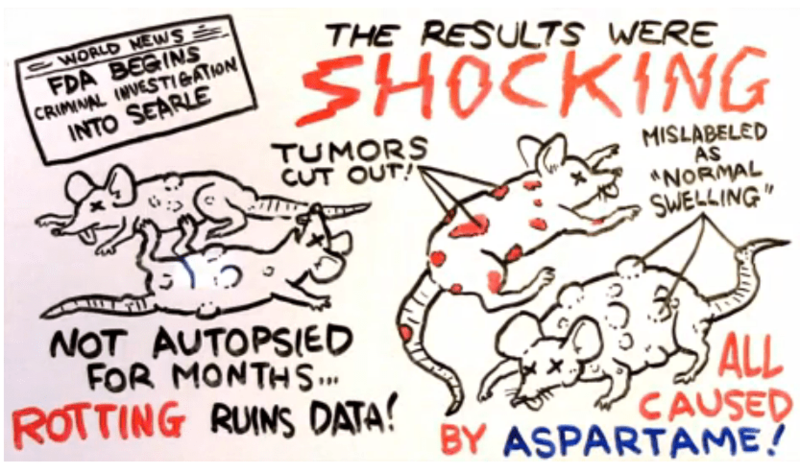 An excellently produced video, even if it is shilling for a product made by Whole Body Research. 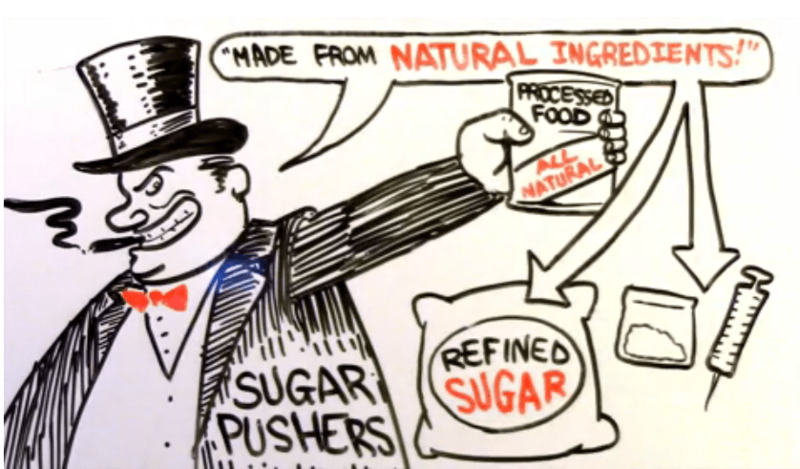 I’ve already talked about obesity, sugar (fake and “natural”), and processed foods before in this post: Way Beyond Weight (Documentary) and Sugar: The Bitter Truth. 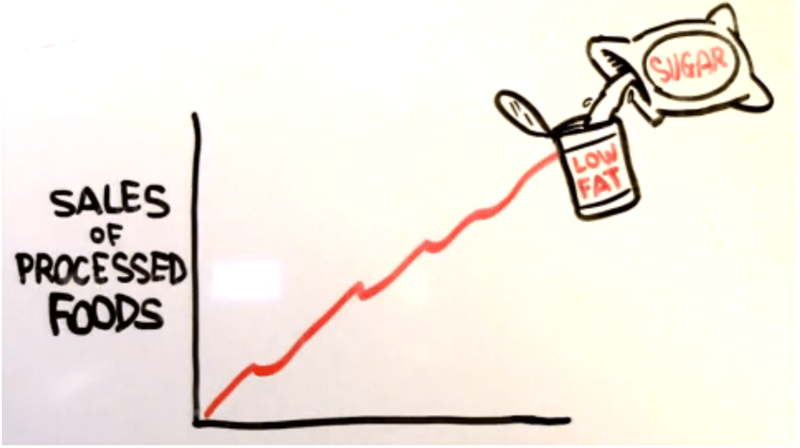 Just because something is “low fat”, it doesn’t mean it isn’t full of crap for you. It is probably packed with sugar. I was looking at baby formulas the other day out of curiousity (I would never feed my kids that stuff), and was pretty shocked to see what they considered “necessary nutrients” for a baby to mimic breast milk. (Not that I am blaming anyone for NOT breastfeeding, I am just doing my own research for myself). PARTIALLY HYDROLYZED REDUCED MINERALS WHEY PROTEIN CONCENTRATE (FROM COW’S MILK) = “from cow’s milk”, but it isn’t really dried cow’s milk is it? It’s a processed food. The entire list can be found here as an example to look at. 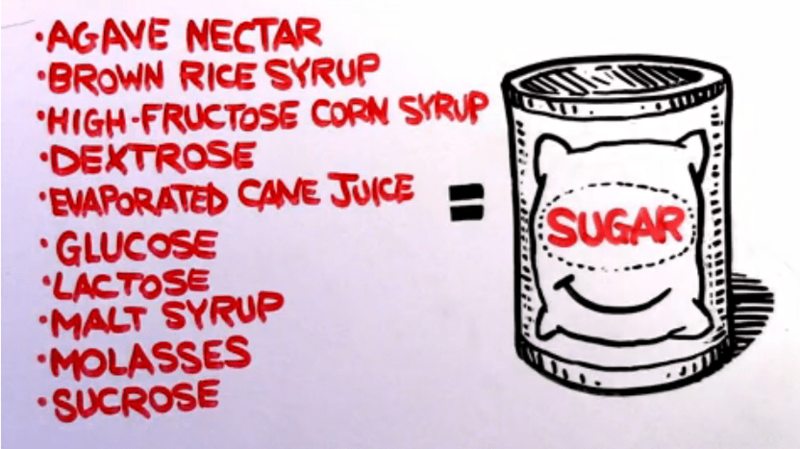 In other baby formulas, I noticed some ingredients like glucose which is pretty much sugar. No wonder some babies enjoy drinking formula over breast milk — it’s pretty much like a milkshake for them, and who wouldn’t want to drink a milkshake forever? I had a whole long response typed out but just deleted it. It’s not worth getting into….good luck with your way. what would you suggest a person feed their infant if they medically (due to results of cancer treatments) cannot breast feed? Statements like “I would never feed my kids that” is insulting and tries to shame other mothers. I am so sick of the judgement I see when I pull out a baby bottle of formula. Please don’t judge mothers who use formula…you never know the real reason they do. If a stranger asked me why I use formula I am probably not going to want to share my health history with her. Goat milk. I couldn’t breast feed either because Baby Bun wouldn’t take to the breast. Actually, donkey’s milk is the best but you can only find that in Europe. It is almost 100% exactly like breastmilk. To put it another way, what did people feed their children before formula was invented? I’m not convinced that formula is the answer and yes I am judging. Yup. Pretty much why I never buy pre-packaged food and instead make everything from scratch. Well, everything but soy milk, but I’m working on that! This is why I eat naturally and really don’t eat outside of my home. When I see this sort of things, it makes me extra happy I live in Europe. EU food & health regulations are vay more strict here. Canada is not as bad as the U.S. but we are close, so we get a lot of American foods.